First up, I was recently sent some new Nature Valley Protein Bars to try out. I have loved Nature Valley bars for a long while now. The healthier snack Nature Valley’s come in lots of varieties - granola bars, sweet and nutty bars, trail mix and even cereals. 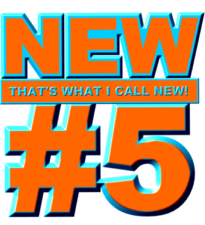 They have now launched new Protein bars with a whopping 15% of your daily protein needs, plus 30% LESS sugar than standard adult cereal bars. They come in two flavours peanut and chocolate, and roasted peanuts with pumpkin and sunflower seeds. I was sent both of these varieties to try and they are, of course, delicious. And they also fill you up. I had a bar with a cup of tea, and later when I would normally reach for another snack, I was still full. These protein bars pack a punch! 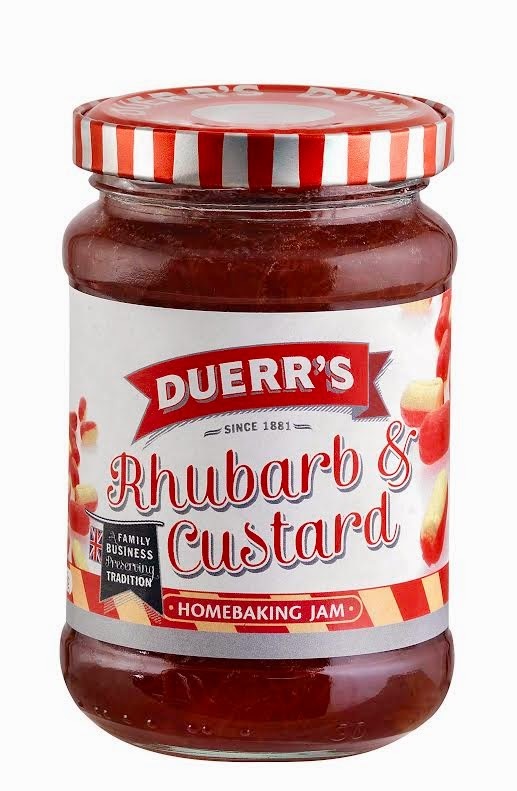 Next up, I was sent new Rhubarb and Custard flavour baking jam from Duerr’s. This is purportedly the UK’s first jam designed for bakers, with a formula they call bake-stable. The jam, with all the flavour of those rhubarb and custard sweets we used to enjoy as youngsters, holds it’s consistency when baked and remains smooth and glossy. I have to say, I love the idea of jam designed for bakers, and the flavour is amazing – takes you right back to your childhood. Available in Aldi, stay tuned for my recipe this week, using the jam in a very sticky concoction! 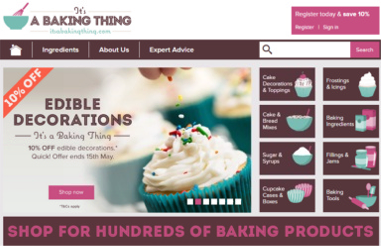 Next up, not a product, but a website – ‘It’s A Baking Thing’. 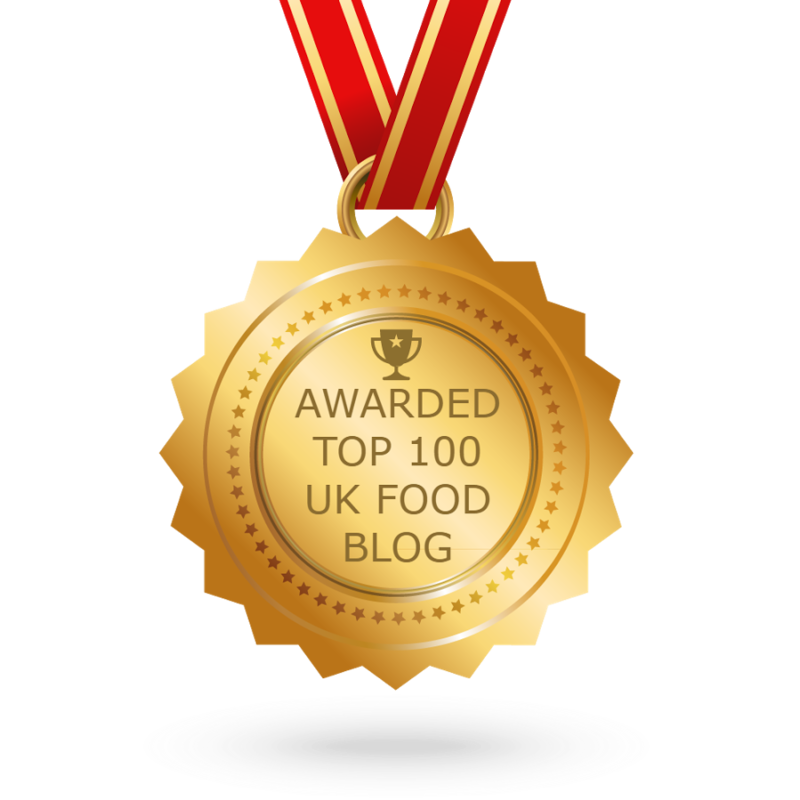 They launched recently and stem from their parent company who are one of the largest suppliers to the UK food industry, hosting a wide-range of product. They decided to come up with ‘It’s A Baking Thing’ as they wanted to give home bakers like you and me, the access to the experience, resources and customer service they had honed over the years. 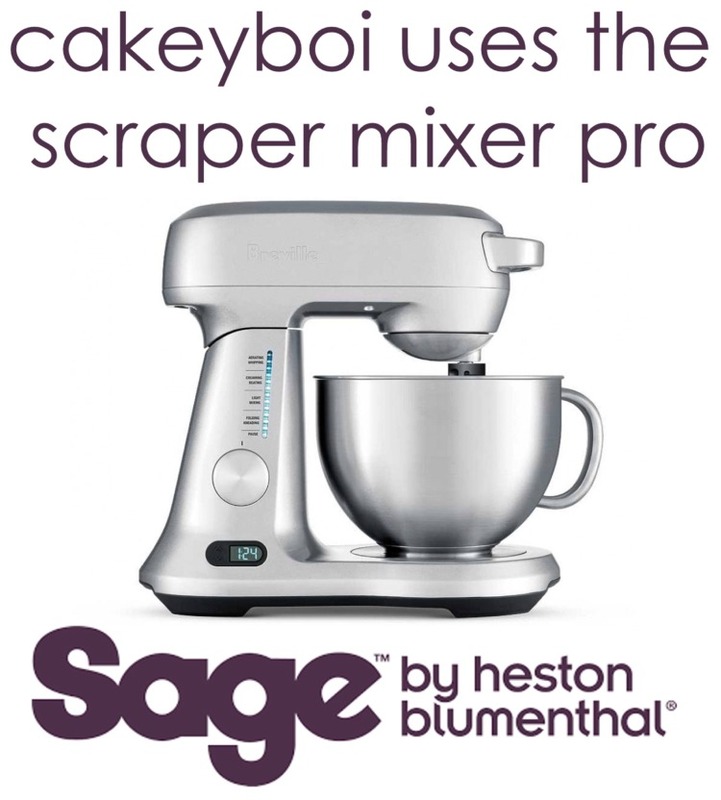 It’s A Baking Thing, is the place for a wide-range of ingredients, cupcake cases and boxes and some baking tools too. They kindly sent me a whisk, which I will put to good use in the Cakeyboi kitchen. They also provide expert advice with some hints and tips you may not know. Pop over to the website and say hi! Now, I don’t have a dishwasher in my kitchen (and when we buy somewhere new, I am definitely going to rectify that) but for now I wash my dishes in the sink. 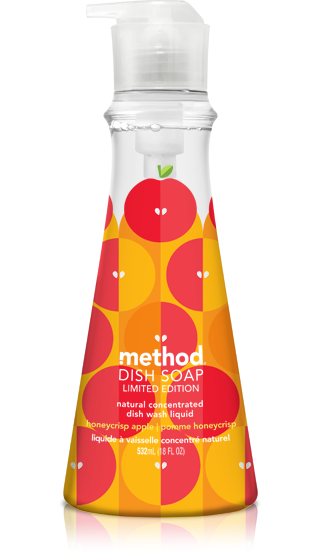 Well, I came across Method dishwashing liquid in Tesco a while back – and can honestly say it is one of the best I have used. It doesn’t foam loads and loads, leaving everything uber-soapy, but it really does seem to cut through the greasiest of dishes with ease. Plus the scents it come in are amazing. I am currently using their limited edition Honeycrisp Apple and if I could waft the scent through the screen to you I would. I have also bought their foaming hand soap and love that equally as much. But Method are so much more. Aside from amazing looking bottles, they also are very, very green in everything they do! No toxic chemicals in their product. Aside from dishwashing soap and hand soap, they sell home cleaning products, air fresheners, laundry detergents, there is even a kids range! Check out their website, to find your nearest stockist, and spread the Method love! Disclosure Statement: I have been sent some of the items free to try. I have not been asked to write a positive review for anything and any opinions expressed are entirely my own. 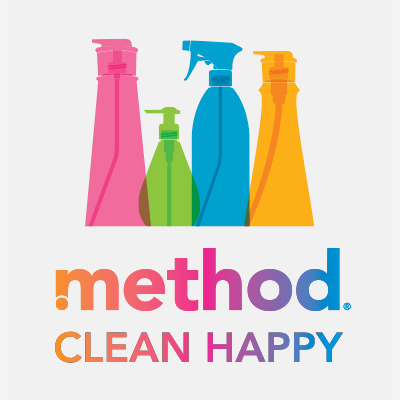 I have loved Method products for a while, we use them loads! My favourite is something they don't make anymore, which is a Cucumber spray cleaner... I almost bought some in the States to bring home, but thankfully found some on eBay and stockpiled! Sad... but mmm, the kitchen smells lovely! I bet that did smell lush and fresh! Found some Method laundry detergent in lavender and cedar scent - that is lovely!